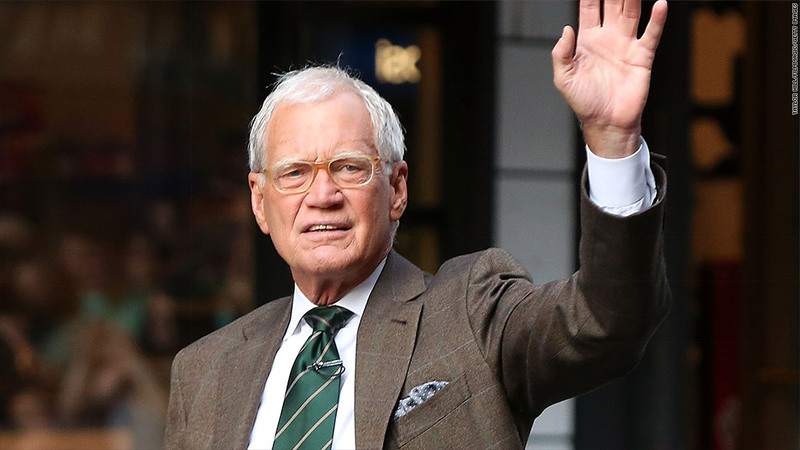 David Letterman, one of late night's longest running hosts, says goodbye this week to millions of viewers. Yet, only a few will actually be there in person to see it. 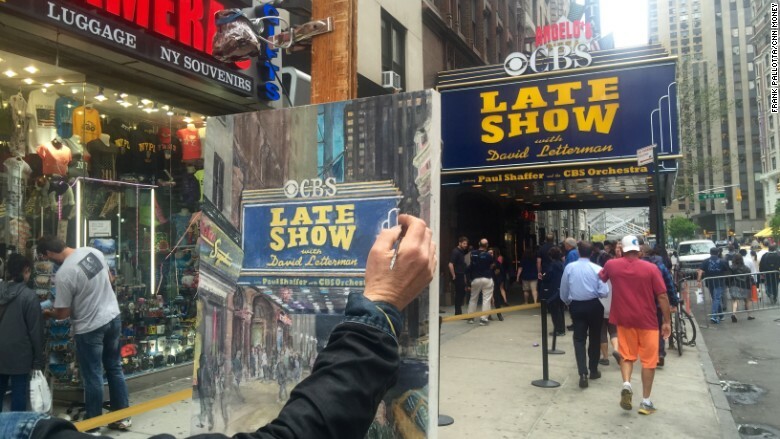 Standing outside the Ed Sullivan Theater on a cloudy Monday afternoon in New York, hundreds lined up to be one of the first of the last Letterman audiences. This included Joy Julian, 42, who took a six hour bus ride to New York. "He's one of the greats," said Julian, a librarian from Chesapeake, Virginia. Julian said she didn't have a ticket to the show before coming to New York, but took a chance in hopes of finding one. Luckily, she won a ticket from the box office lottery. For Julian, who described herself as a breast cancer survivor, coming to the show helped her cross off one of the items on her bucket list, she said. "When you go thorough a diagnosis like that you're like, okay there's things you want to do and going to see David Letterman was one of them," she said after Monday's 4:30 p.m. taping. Others like Kelli Hoskins, 30, who weren't as lucky to grab a ticket still came to the famed theater just to be around history. "We wanted to take one last picture of the marquee with his name on it," said Hoskins. "It's the end of the era." 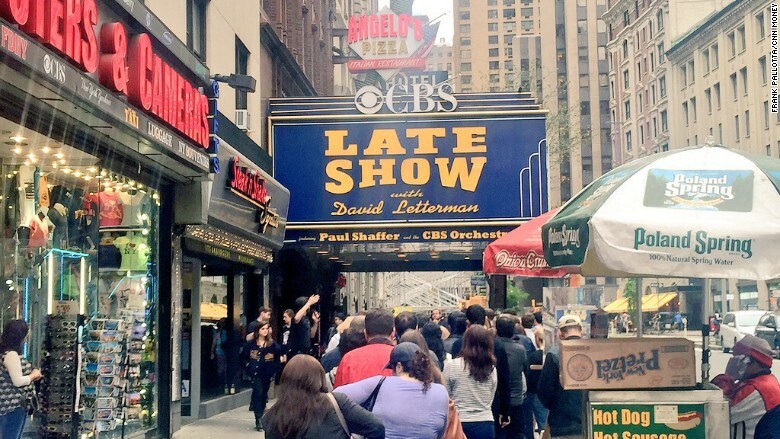 Many lined up to be in the audience for one of Letterman's last shows. Before Letterman wraps up his three decade late night career on Wednesday, the 68 year old host is welcoming some of his most frequent guests to send him off. On Monday, Academy Award winner Tom Hanks kicked off Letterman's final week by making his 60th and final appearance with the host. Audience members said Hanks appeared on the telecast with a Selfie Stick so he could take a photo with Letterman and the audience. Pearl Jam front man, Eddie Vedder, also joined Hanks as a guest on Monday and sang the Pearl Jam classic "Better Man," according to those who were at the show. Away from those looking for a seat in the Ed Sullivan Theater there was also painter Tom Barlow, 50, who stood on the corner of Broadway and West 53rd street painting the theater. According to Barlow, he has been meaning to do a painting of the marquee for a while, but came this week because it was his "last chance." Barlow also said that a lot of people had taken interest in the painting, but that one person in particular would have the first chance to take it home. "Letterman... if he's interested, he'd have first right of refusal," he said. Tom Barlow paints the marquee of the Ed Sullivan theater.